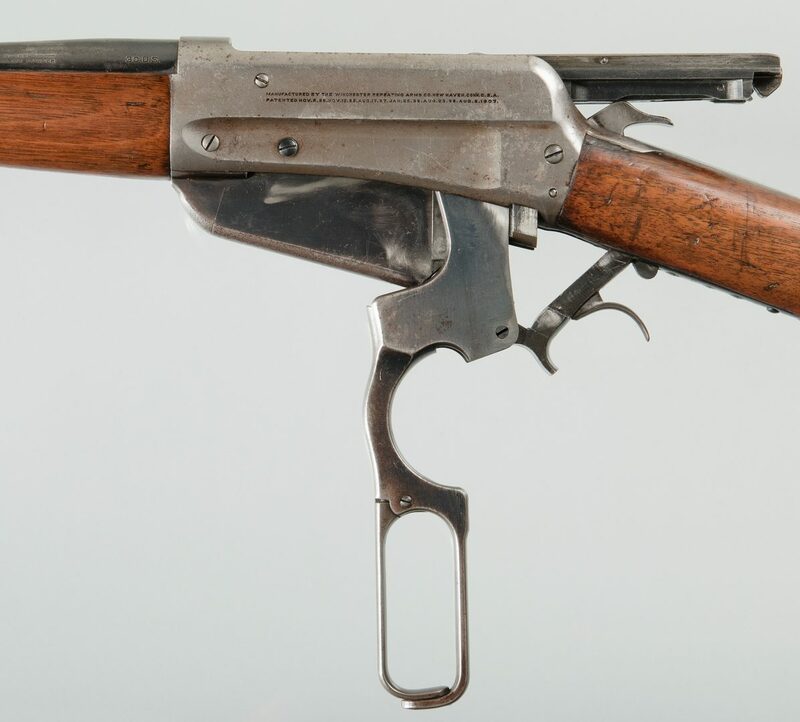 Model 1895 Winchester rifle, .30 U.S. Caliber. Serial number 82409B. Barrel marked, "NICKEL STEEL BARREL ESPECIALLY FOR SMOKELESS POWDER 30 U.S. 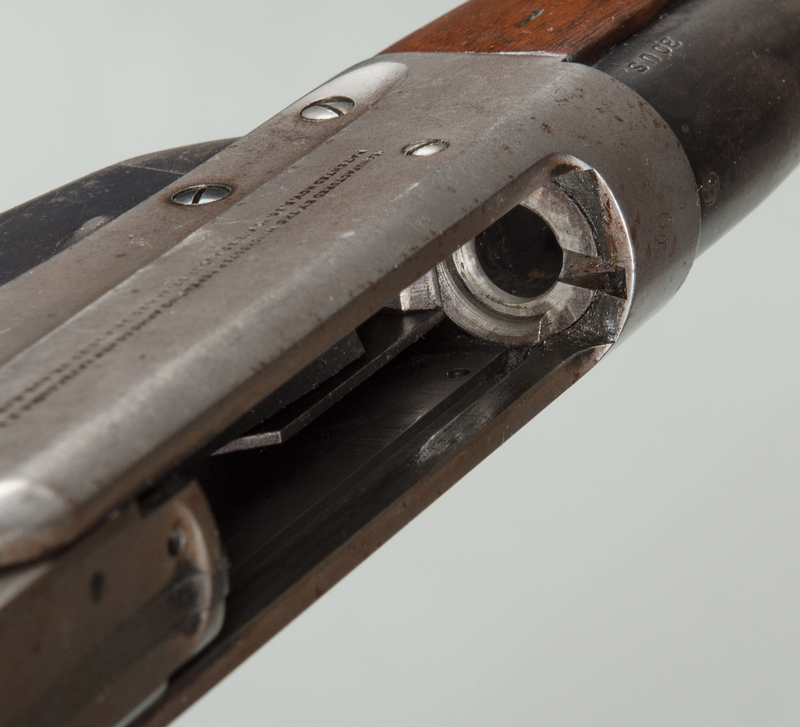 MANUFACTURED BY THE WINCHESTER REPEATING ARMS CO. NEW HAVEN CONN. U.S.A. PATENTED NOV. 5. 95. NOV. 12. 95. AUG. 17. 97. JAN. 25. 98. AUG. 23. 98. AUG. 5. 1907.". Tang marked, "Model 1895 Trade Mark REG. IN U.S. PAT. OFF.". Walnut stocks, metal frame, round nickel steel barrel. Standard sights. 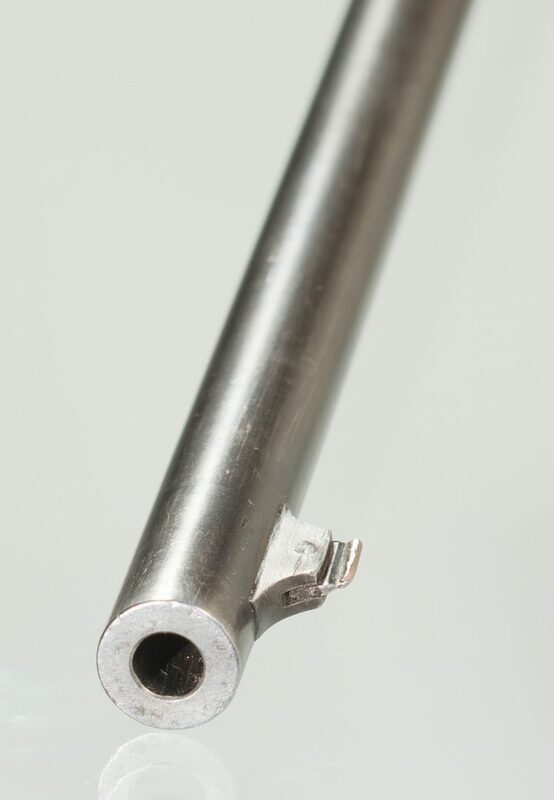 Barrel length – 28". Overall length – 46 1/2". Serial number corresponds to year 1915. CONDITION: Excellent mechanics. Bore is good. 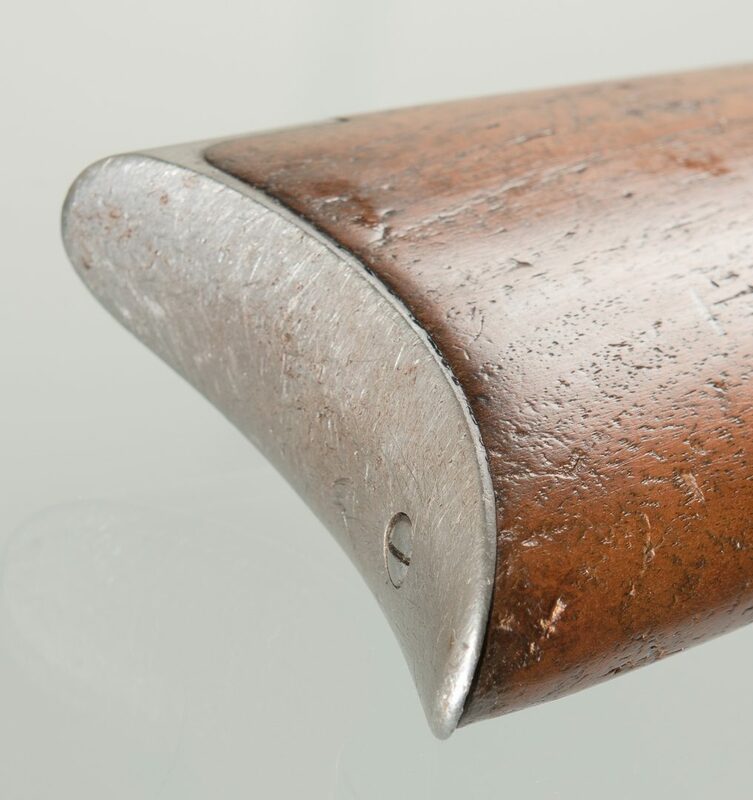 Stocks have good patina with normal handling marks. Slight crack at left side of tang. Markings are crisp overall. Barrel has thinning blue. Receiver has no finish. Lever and magazine have traces of blue.